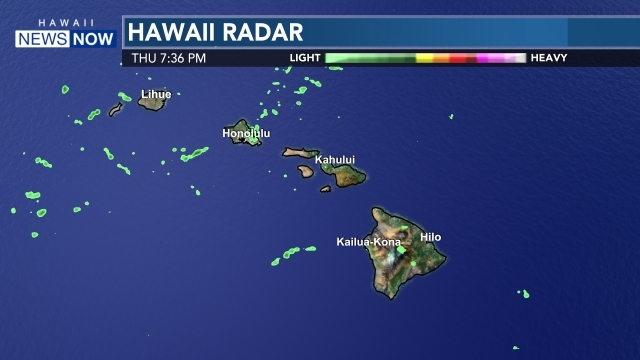 After taking a short break, the trade winds will be returning and should stay over an extended period. A weak upper level disturbance will increase windward showers a bit Wednesday and Thursday, but no heavy accumulations are expected. 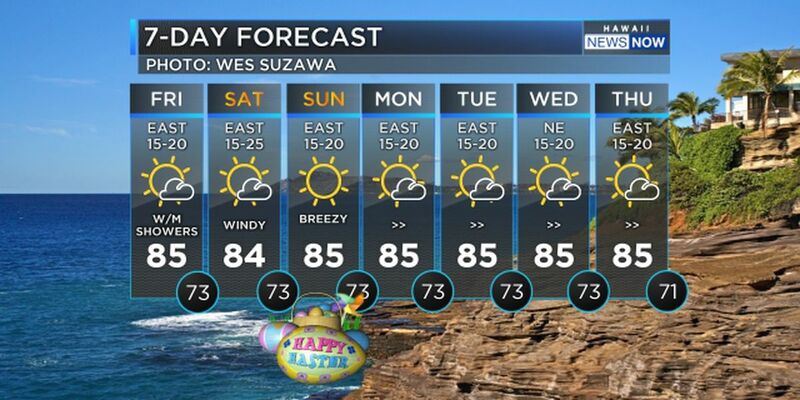 Trades will be locally breezy with dry and stable conditions for Easter weekend and into much of next week. Surf on north and west shores will lower slightly on Wednesday, but a small swell is expected Thursday night into Friday. 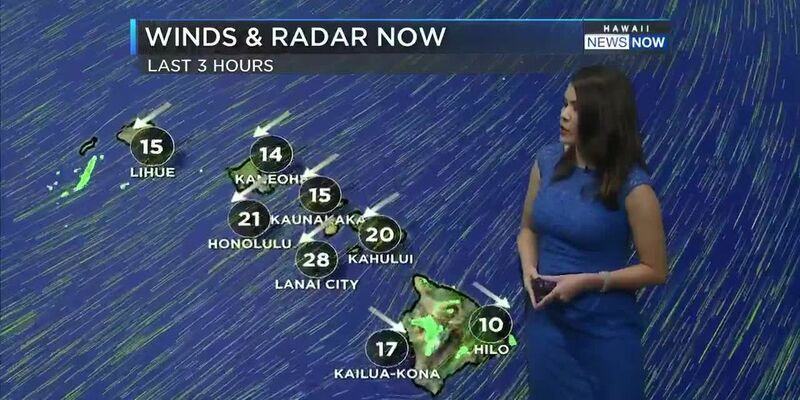 East shores will increase a bit later in the week as the trade winds return. No marine warnings are currently posted.